For a OUI case at the 44th District Court in Royal Oak, a lawyer that specializes in the defense of OUI in Royal Oak is recommended. A OUI conviction will result in a blemish on your driving and criminal record that cannot ever be removed. Hiring a OUI specialist will give you the confidence that your defense is thoroughly prepared, and that you are well defended. Searching for the Best 44th District Court OUI Defense Attorney? Felony OUI convictions result in tough and extreme consequences such as jail or prison confinement, community service, mandatory alcohol treatment, and strictly enforced probation conditions for probationers. A probation violation for felony OUI often leads to a prison sentence. Misdemeanor OUI convictions also can place you in a difficult situation. 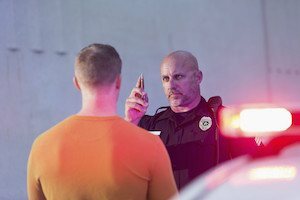 Misdemeanor OUI can lead to jail, and strict probationary conditions. A probation violation can result in a maximum jail sentence. Any OUI conviction will cause driver's license penalties imposed by the Michigan Secretary of State. Finding the best Royal Oak OUI lawyer is definitely in you and your family's best interest. The Royal Oak defense attorney for OUI who is recommended by numerous Royal Oak residents is Daniel Hilf of Hilf & Hilf, PLC. Attorney Hilf is an accomplished, well qualified OUI attorney. Call Hilf & Hilf today for your Royal Oak ticket.